With Winning Numbers you have the right numbers to explode with glee! Winning Numbers gives you lottery numbers which are based on Numerology, used even in the time of Pythagoras, boasting 400 years of history. Before trying your luck, consult your numbers. Winning Lottery Strategies can become easier for everyone! The system of the Winning Numbers applied by Horoscopofree is based upon the Methods of Pythagoras. Giving numbers is a serious affair for us. 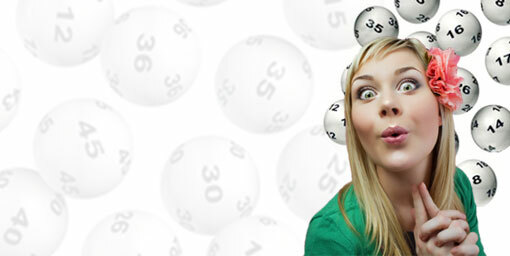 With Winning Numbers you can obtain, free of charge, your special numbers created by you and for you. Winning Numbers is based on the universal language of Numerology: names, phrases or words correspond to a numeric value. With Winning Lottery Strategies you can transform the meaning of your name, a recurring dream or a particularly important event into numbers. And therefore unchain your imagination and desire for winning, winning numbers is your chance to give you the numbers you dream of. Numbers which will be able to totally transform your life with a big win or improve it simply thanks to small wins. With Winning Lottery Strategies, giving numbers has never been so great. But remember, even if mathematics is an exact science, only tenacity pays. Winning numbers suggests gambling simply by enjoying yourself and …never losing faith! Just think, in the world, there are so many record winnings at lottery. One of the largest was even part of the Guinness Book of Records as " the largest lottery win in history". The winning ticket was extracted on 6 March 2007 in New Jersey, America. This was the Mega Millions which rewarded a mere 2 people the amazing amount of 390 million dollars! So what are you doing? Are you still reading? Go on, look for your winning number!